Tuff Gong, the record label founded by Bob Marley back in the day is re-emerging as a label and this compilation is one its newest productions in the can. It’s part two as a follow up to the Grammy-nominated first volume, perhaps this one will get a nod as well. A collaboration between producers Sly & Robbie, Taxi Records and Spicy Chocolate, this set leads off with the first single from Skip Marley, son of Cedella. Entitled Life it's a contemplative, philosophical tune that picks up where Black Uhuru left off when they asked the question: “What Is Life?” The keyboard lines take one back to the digital era of reggae as Skip’s husky voice with it’s strong range injects power to this young man’s musings. Los Angeles based Latin Pop/Rock band Ozomatli performs Affinity over a rocksteady ska rhythm fused with lines from the band’s bright horn section. Ozomatli’s band supports with harmonies, a short rap breakdown that contribute to the festive atmosphere this band brings to live performance. The vocal production for some of reggae’s greatest singers on these tunes is stellar. Morgan Heritage sets the pace for several love songs in the sequence with a one drop song You in tribute to a partner’s loyalty and a positive outlook that it brings. Brothers Peetah and Gramps have the pop-style phrasing down and it shines here. Maxi Priest breezes in with Give It To Me Baby a signature lover’s rock tune listing the attributes of his desire. Demarco sings his love a serenade in Beautiful Feeling which could be the most straight up reggae tune, sung partly in patois with glorious soprano saxophone seasoning the lines. Romain Virgo sings Dancing In Love over lush horns exhibiting his influences from American vintage R&B. His supreme vibrato is on display as he sings about the joys of the dance floor and how much of a release it can be from stress. Beenie Man and Cherine Anderson team up for the dancehall rhythm Missing You Like Crazy with fun horn lines and chime synth sounds seasoning the groove. Cherine shines here and the chemistry is great between both of them on this pop-influenced love song. Vocal quartet T.O.K has what could be the EDM/dance track on the set with Feel So High a tribute to partying it up in the club. Davin Di Dakta & JL sing Ayo Ayo which uses the same sound on keys that Gyptian’s Hold You uses and feels like an answer song to it, with one of the vocalists actually asking the girl to “hold me” in the lyric. It’s a lover’s promise of satisfaction over a playful dancehall pop groove. 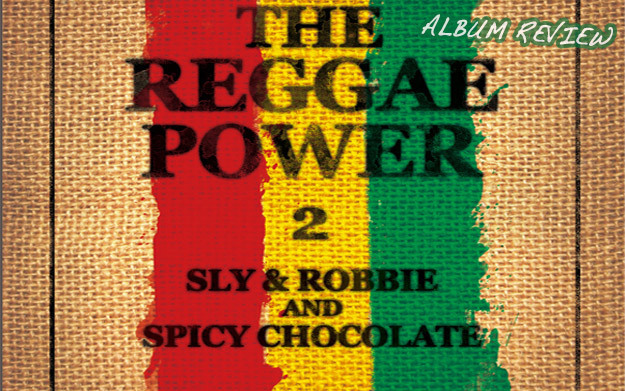 album he released with Sly & Robbie in 2013 which also received a Grammy nomination. Continuing with this theme of romantic love he sings Be There For You over a rhythm that feels tailor made for his vocal delivery. He keeps it real stating “no matter if we cuss and fight it won’t break us” proclaiming that riding through the storm he’s going to be there. To close out the compilation and harken to the lead track Loyal Flames sings Make It in a gravely voice that is full of vibes encouraging advice to “know you can make it” and “take control of your life, your destiny is yours of course.” The rhythm is a smooth steppers rhythm with an evocative tonal chorus that stays with the listener.